Brief: If you forgot the user password in Ubuntu, don’t worry. 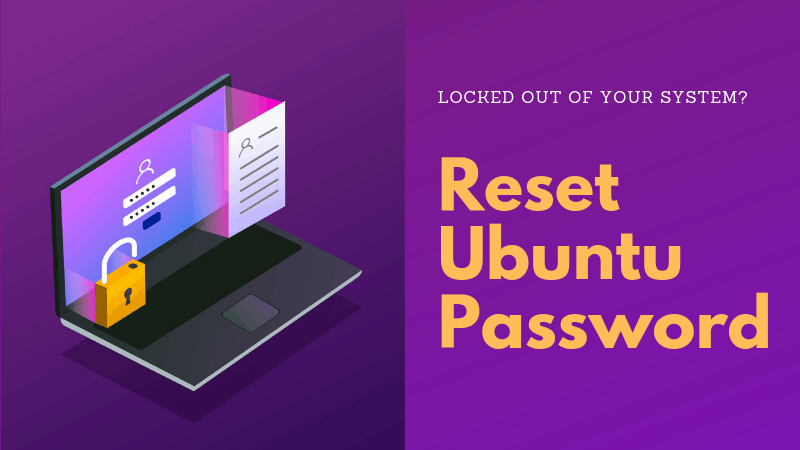 You can reset Ubuntu password very easily. 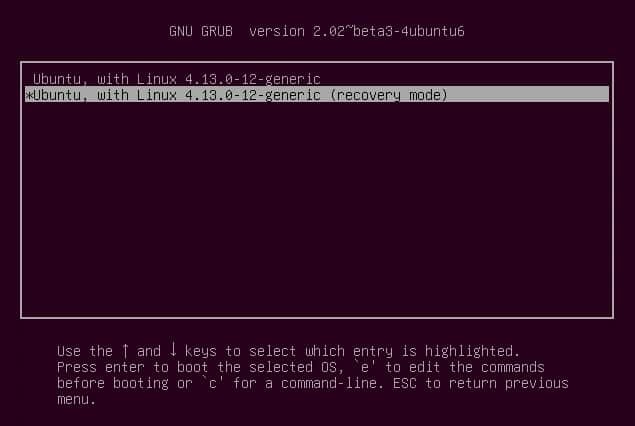 This guide shows an easy method to change the root password in Ubuntu. The method should also be applicable to other Linux distributions. Forgot the Ubuntu login password? It Happens. If you don’t use Ubuntu for some time, it is only natural to not remember the password. Good news is that you don’t need to reinstall the entire operating system because of it. You can recover Ubuntu password easily. The method mentioned here work for resetting Ubuntu password in VMware, dual boot or single install. All you need is a little bit of patience and run a couple of commands. You’ll reset the root password within minutes. If you prefer watching videos over reading text, I have also made a video of this tutorial. Don’t forget to subscribe to our YouTube channel for more Linux tutorial videos. Switch the computer on. 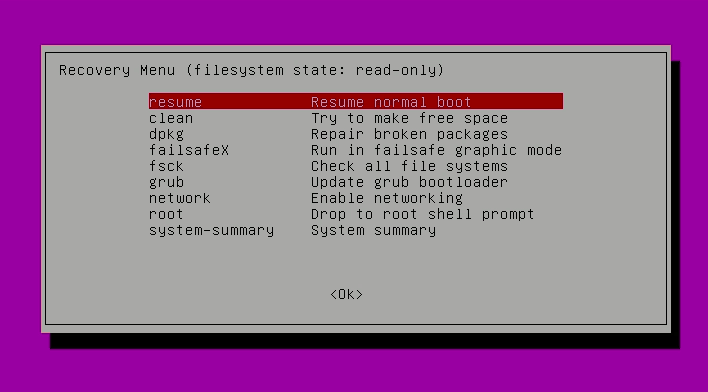 Go to Grub menu. Generally, it appears automatically, if not then hold down the shift key until the boot menu appears. If you are using Oracle VirtualBox or VMWare, you have to hold down the shift key when the logo of Oracle or VMWare appears. It will bring you a black screen with several lines of output being displayed in a flash. Wait for few seconds here. 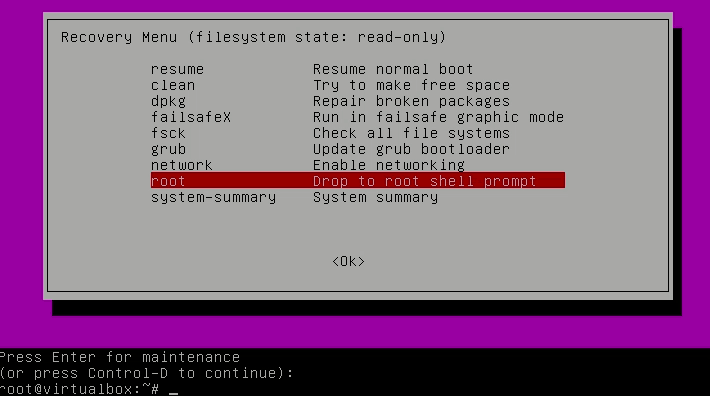 You’ll see that when you select the root shell prompt option, an option to enter commands appear in the bottom. This is your root shell prompt and this is where you’ll use the commands to reset the password. You need to have write access to the root partition. By default, it has only read-only access. When you exit, you’ll be back to the recovery mode menu. Select normal boot option here. There will be a warning about graphics mode compatibility. Don’t worry. A complete reboot will fix the issue if there is any. You should be able to log in with the new password. Now try to reset the password again. It should work now. As you can see, it is extremely easy to change Ubuntu password even if you forgot the login. It will hardly take a few minutes. Did this quick tip help you to recover your admin password? Do share in the comments below. Worked for me on Ubuntu in VirtualBox. Thank you! Very good Abhishek. 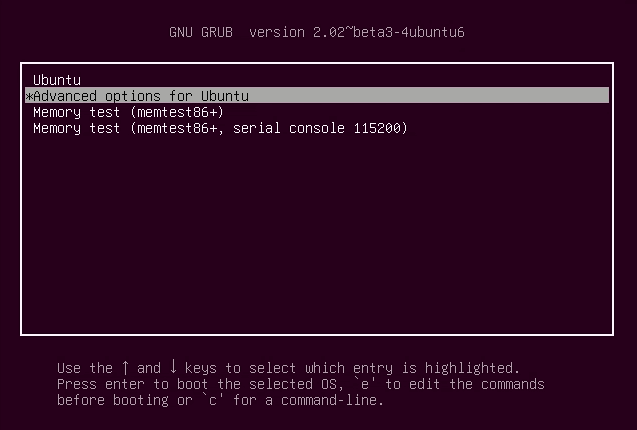 I forgot my Linux/Unix commands since University and I remember have installed Ubuntu on VirtualBox for testing purpose. This was a massive help, now I can continue instaling Presto for training purpose. Glad it helped you, Jean. Thanks a lot. This helped me within a short time. I had to hold down the shift button to choose the maintenance mode, else it just goes on to boot normal after showing the grub boot.